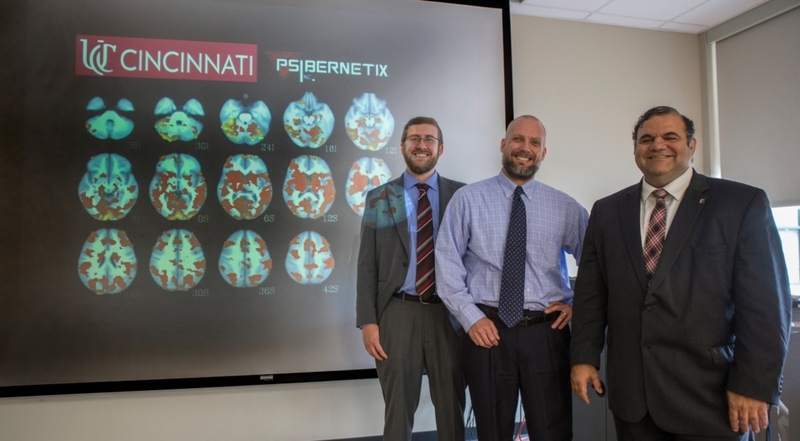 UC graduate and Psibernetix CEO Nicholas Ernest, left, and UC researchers David Fleck, center, and Kelly Cohen used artificial intelligence to predict treatment outcomes for bipolar patients. 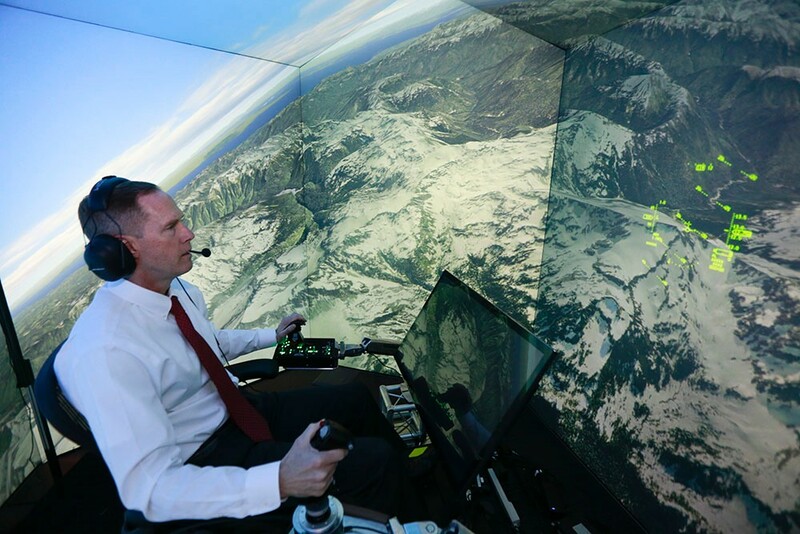 The artificial intelligence that can blow human pilots out of the sky in air-to-air combat accurately predicted treatment outcomes for bipolar disorder, according to a new medical study by the University of Cincinnati. The study authors found that even the best of the eight most common treatments was only effective half the time. But the model UC researchers developed using AI predicted how patients would respond to lithium treatment with 88 percent accuracy and 80 percent accuracy in validation. Cohen compares it to teaching a child how to recognize a chair. After seeing just a few examples, any child can identify the object people sit in as a chair, regardless of its shape, size or color. 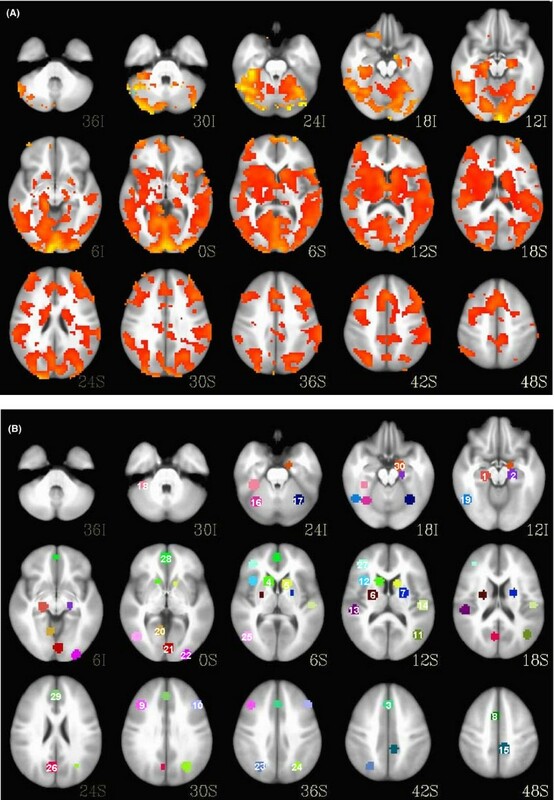 A comparison of brain scans shows the regional activation differences between a bipolar patient, top, and a healthy patient. “This is a huge first step and ultimately something that will be very important to psychiatry and across medicine." 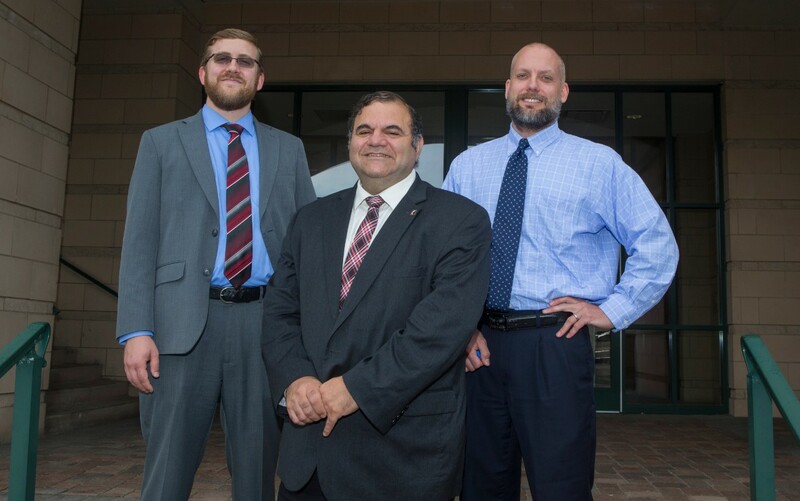 UC graduate Nicholas Ernest, left, worked with UC engineering professor Kelly Cohen, center, and UC College of Medicine professor David Fleck on a study that found artificial intelligence was effective in predicting treatment outcomes for patients with bipolar disorder. Do you like engineering? At UC's College of Engineering and Applied Science, students tackle real-world problems. Apply to CEAS or explore other programs on the undergraduate or graduate level.